Russell kept almost everything and many of those things he turned into something significant or meaningful. 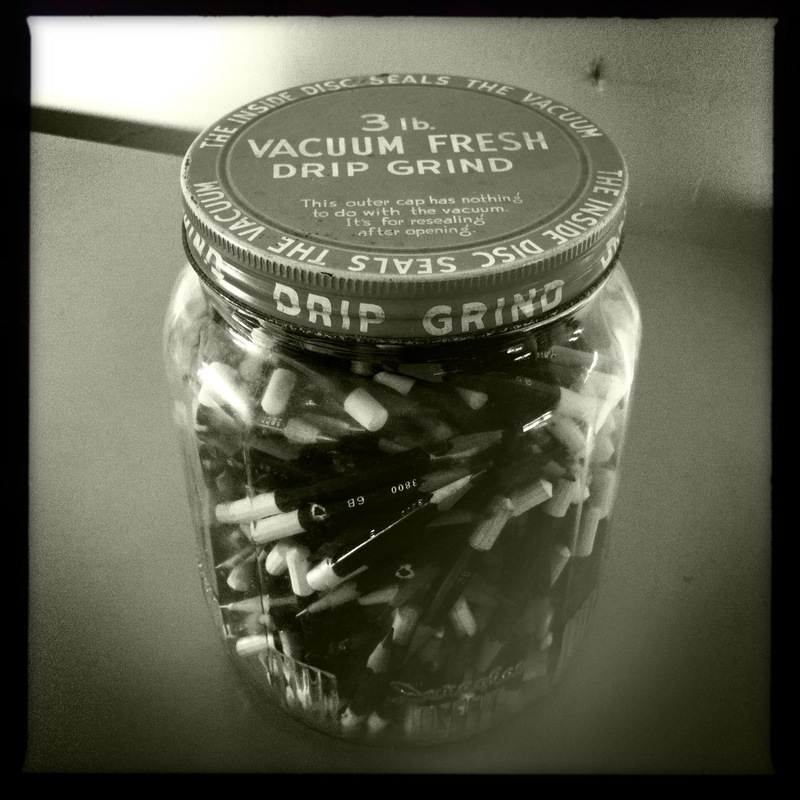 Here is a photograph of a jar of Jim’s pencils. Rather than toss them when they became too short he placed them into a glass jar that previously held three pounds of coffee, a jar that had its own character thanks to all of the writing on the lid. When Satch and I were in Kewanna doing research Wade Bussert pulled this jar of pencils out for us to see. I had to take a photograph.